Get your free sample kit and design consultation today! Start the process by requesting FREE product information. 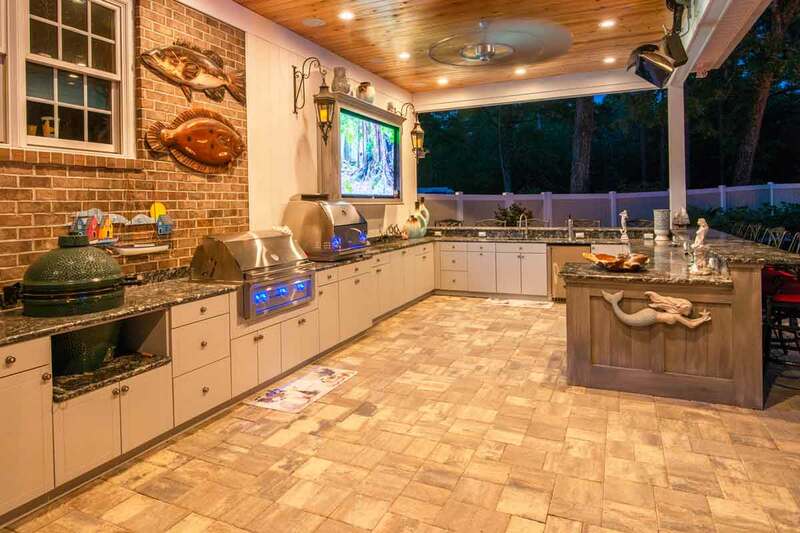 An outdoor cabinet designer will contact you to find out exactly what your dream outdoor kitchen should include. 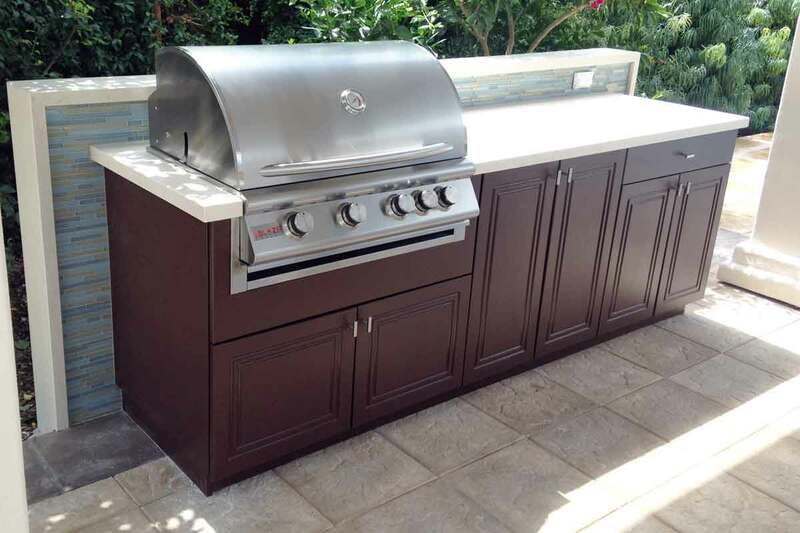 Our designers will translate your wishes into a custom outdoor cabinet design. You’ll receive 3-D renderings, detailed diagrams, and an itemized quote. Design turnaround time is typically 24 hours. When you are happy with your finalized design, place the order. 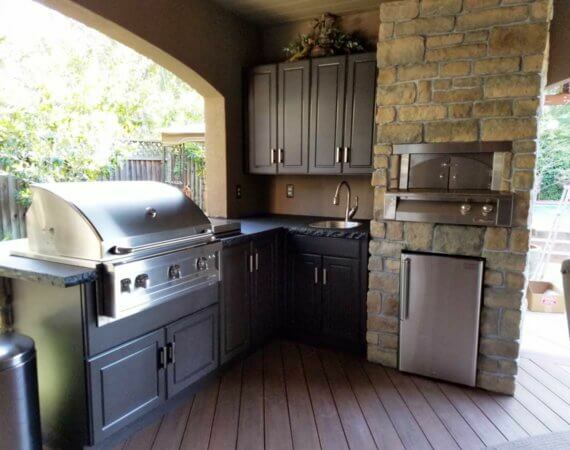 Your custom outdoor cabinets are made to order. Build time is 2 to 4 weeks depending on seasonal demand. Sit back, relax, and we’ll get everything built, packed, and shipped. When delivered, each cabinet will arrive completely assembled. 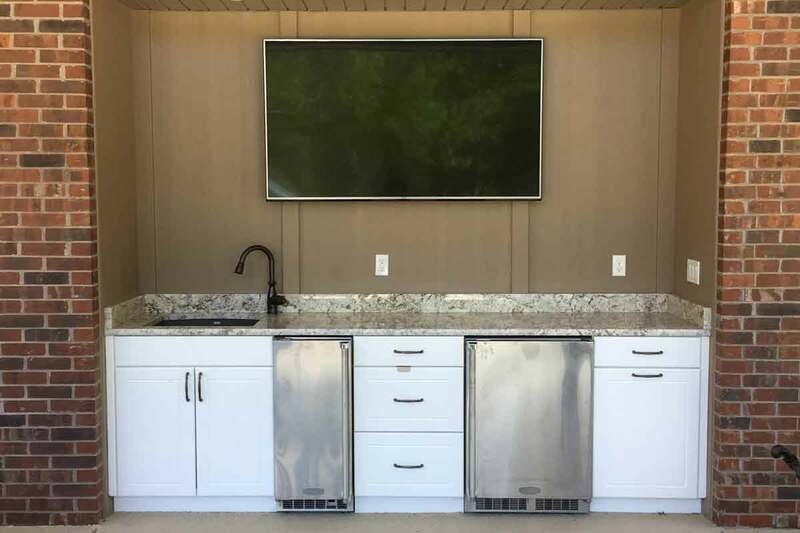 Werever outdoor cabinets are engineered for easy installation by a do-it-yourselfer with a basic knowledge of tools with almost no carpentry skill required. 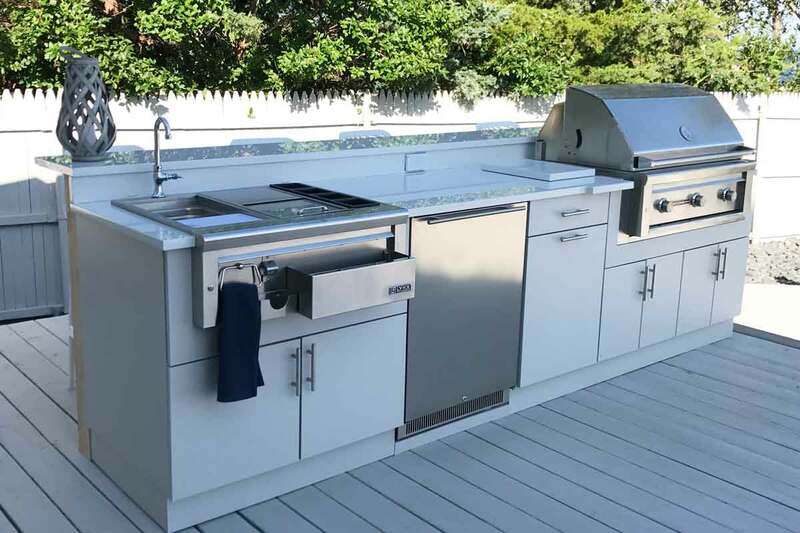 Three years ago we put in an outdoor kitchen with Werever. From the first call, the customer service was outstanding! They walked us through the design process and offered excellent advice obviously based on many years experience. The finished and installed product was even better than we imagined. It looks today like it did the first day it was installed. We highly recommend this company. Outstanding service and workmanship! As a designer, I look for quality, price and aesthetics in any products I select for my clients and myself. 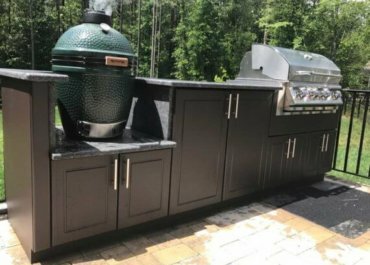 When we needed to replace an old dilapidated patio cabinet, I chose Werever Outdoor Kitchens over others. Two big dogs, pool toys and small yard tools needed unique and separate spaces, so finding cabinets with a drawer and a durable surface was paramount. We couldn't be happier. 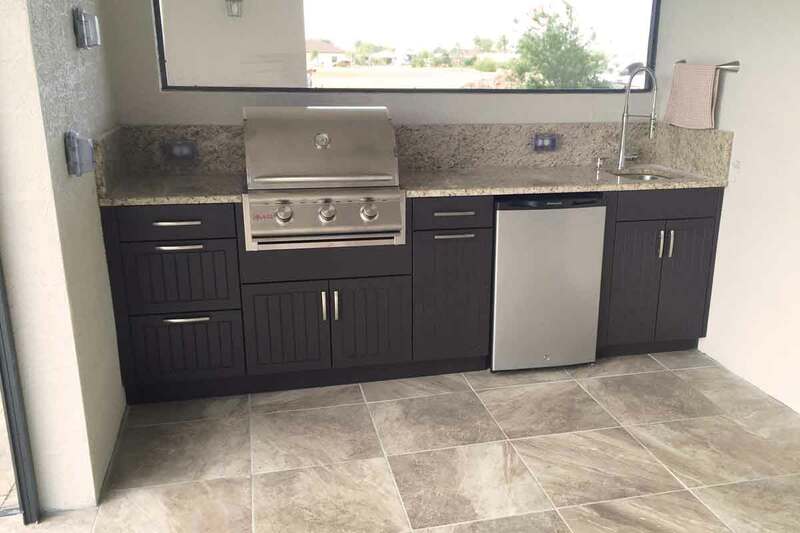 They handle the spray from pressure-washing the patio, doggie art (slobber) is easily wiped clean, and the choices of color made the selection easy. My brother and I easily installed in just a few hours. 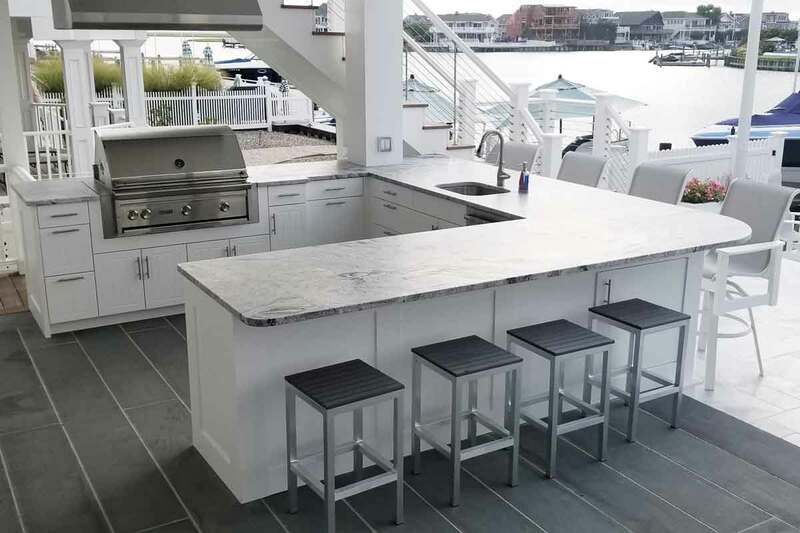 We left the granite installation to the professionals. Werever Customer Service personnel were fabulous! They were extremely easy to work with, helpful with samples for color choices, and realistic about lead time and delivery. 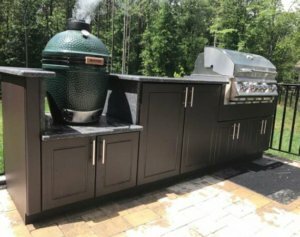 I would highly recommend their products, but most importantly, I would highly recommend the company. Finding great products and service in the same place is not so easy these days - take it from me!